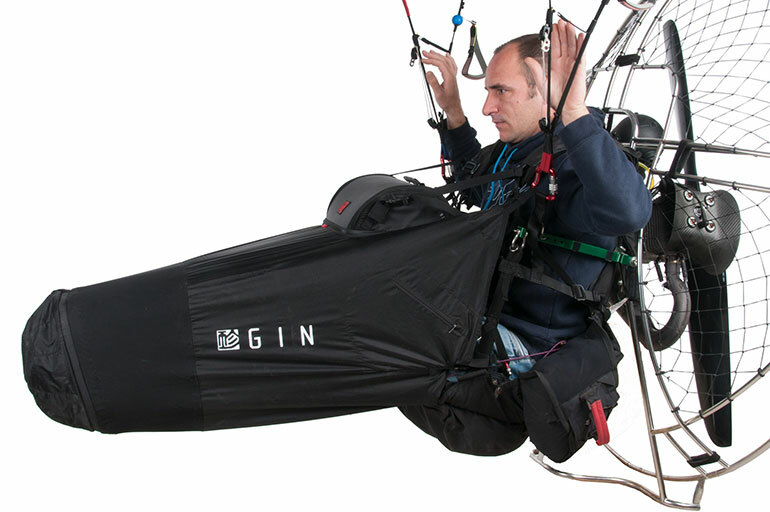 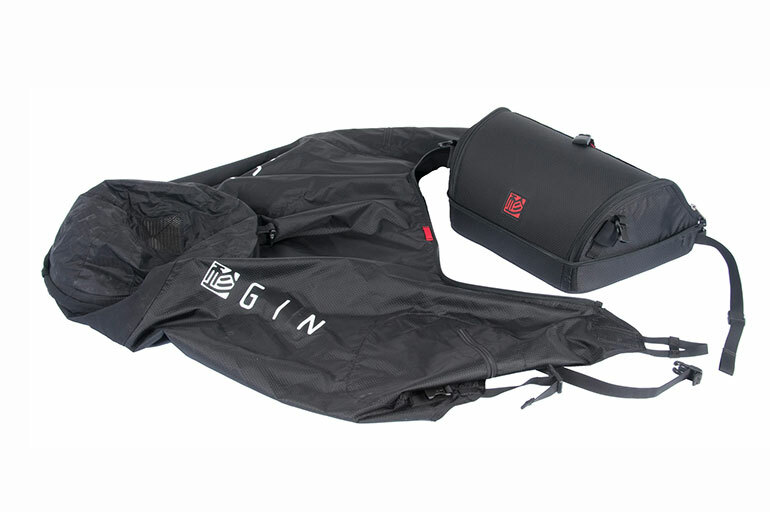 The GIN paramotor cocoon not only keeps you warm and comfortable. 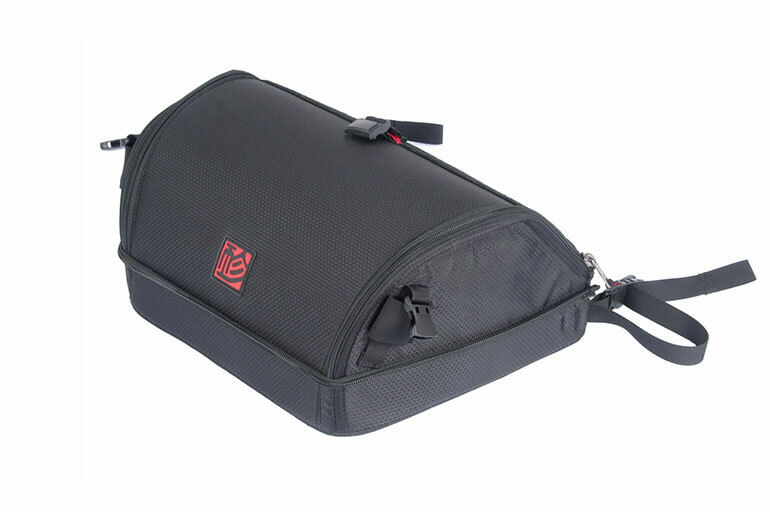 It also increases performance and is easy to use. 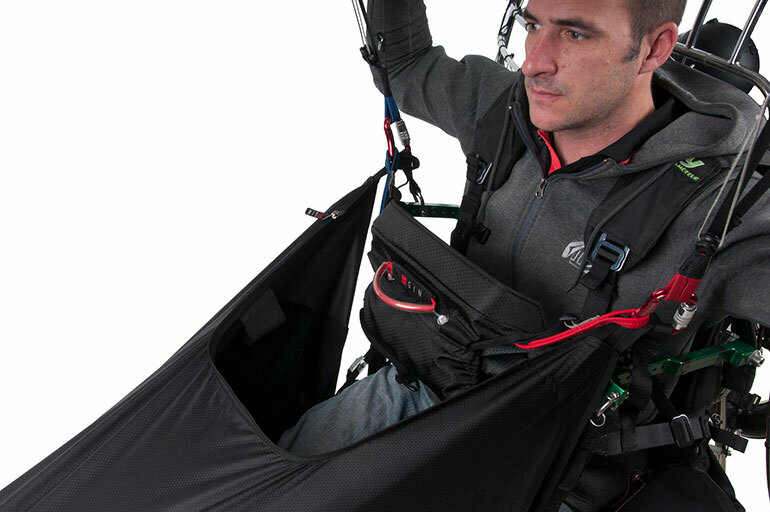 The paramotor cocoon keeps you warm and also increases your performance and efficiency. 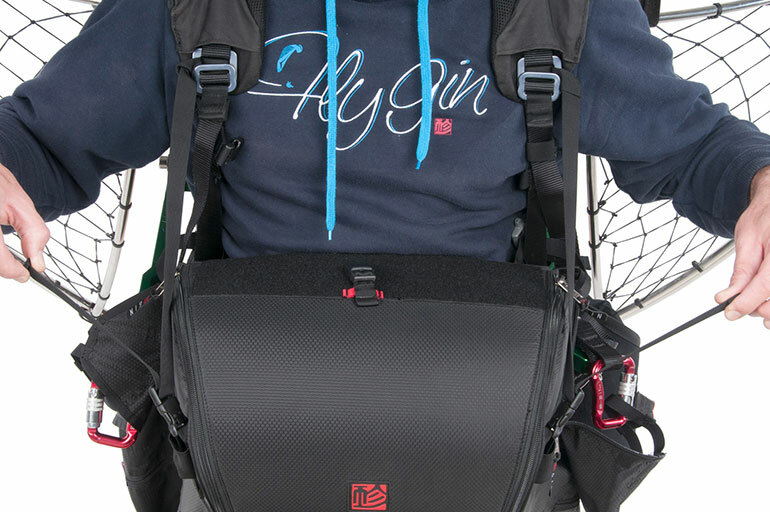 It opens at the bottom for easy step in, while a buckle holds up the cocoon during take-off. 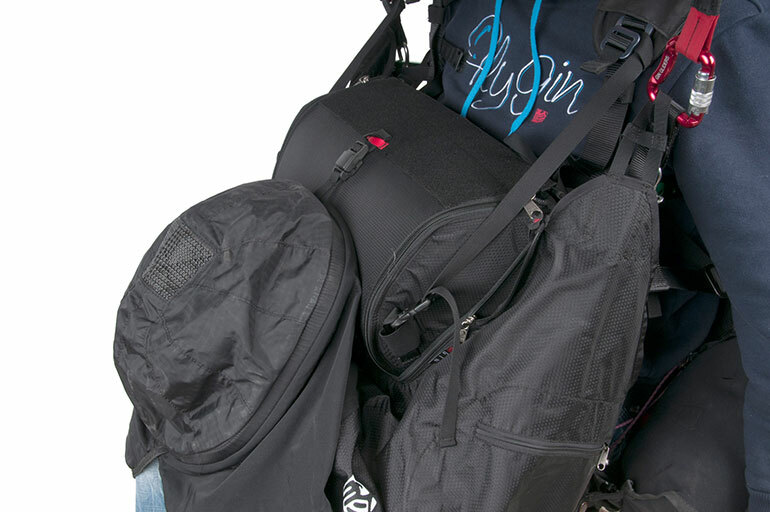 A large cockpit offers space for instruments and storage. 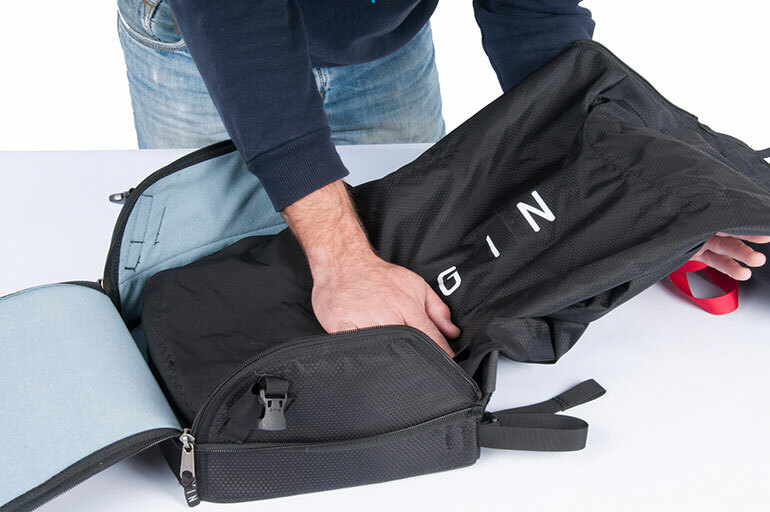 9L of space for the cocoon, flight instruments or even bivouac supplies!